Maya nut is the seed of Brosimum alicastrum. native to Latin America and the Caribbean this tree is one of the largest in the rainforest and can grow to more the 50 m (164 ft) in height. It is not a true nut and does not consist of any allergenic compounds. Chokogou (Maya nut) was once abundant in Central America but is now threatened and extinct in some areas. In Haiti the Maya nut is extinct and is now being re-introduced by Sadhana Forest Haiti. Maya nut grows naturally in fertile rainforest soils. Compared to foods grown in farmed soils, the Chokogou is much higher in vital nutrients, including antioxidants. Fiber, Calcium, Potassium, Folate, Iron, Zinc, Protein, and other micronutrients are just some of the nutrients Maya nut is very high in. Maya nut has a low Glycemic Index (<55), making it a good food for diabetics or people watching their sugar and carbohydrate intake. Maya nut can be used in many different dishes. It can be used fresh or dried, roasted or raw to prepare more than 120 recipes. Maya nut can be milled into flour to make porridge or bake bread. It is a highly versatile tree. The seeds can be eaten as food, the leaves can be fed to livestock, the sap, or latex has medicinal properties (for asthma in Central America, for anemia in Mexico, and for rheumatism in Peru). The wood can be used for firewood or construction. It is by far one of the most useful trees in the forest. One adult Maya nut tree can produce up to 200 kg (440 lb) of food per year and will remain productive for more than 100 years! The Maya nut can almost always be found in monospecific (single-species) stands, in tropical dry, seasonally dry, humid broadleaf, and wet forests. Maya nut can tolerate sandy, rocky, alkaline, dry, or heavy soils. It is one of the most widely adaptable and drought-resistant species known. 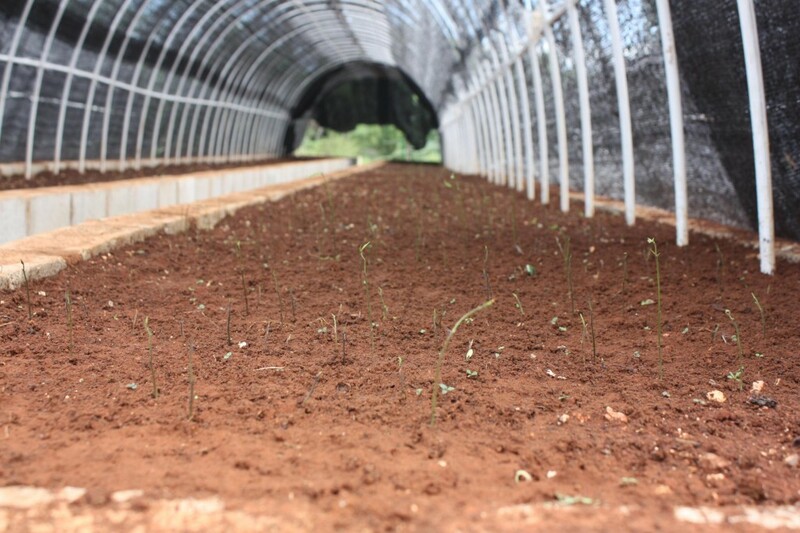 Together with the people of Anse-à-Pitres we have already planted more than 80,000 indigenous food-growing trees. The planting is done mainly in kitchen gardens in the town of Anse-à-Pitres and in mountain villages in the larger Anse-à-Pitres municipal area. Many trees have also been planted in public spaces like parks, schools, etc. We have made demonstration plots in Cascade Pechon where the local people there invited us.